Sister Melinda Roper is from Chicago, IL, graduated from Saint Scholastica High School, and attended Michigan State University from 1955-1957. She then entered the Maryknoll Sisters Congregation at Maryknoll, NY. Sister Melinda served in various roles with the Maryknoll Sisters, beginning with Sisters’ Novitiate at Topsfield, MA, from 1960-1963. She then taught at Colegio Monte Maria in Guatemala from 1963-65. The following year, Sister Melinda joined the Pastoral Center in Marida, Yucatan, Mexico, where she was involved in catechetical work. She spent a year in Chiapas, Mexico, studying the dialect of the indigenous peoples. In 1971 Sister Melinda earned her B.A. in theology from Loyola University in Chicago. Returning to Guatemala, she served as a staff member in the Centro Apostalico in Huehuetenago. After 14 years serving in Central America, Sister Melinda was elected President of the Maryknoll Sisters Congregation, an office she held from 1978 to 1984. During this time, Sister Melinda received various honorary degrees, including the Doctor of Humane Letters, from Loyola University, Emmanuel College, Fordham University, Catholic University of America, Regis College, New School of Research, and Albertus Magnus College. 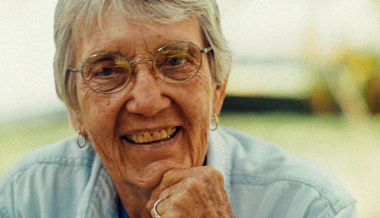 Sister Melinda was assigned to the Vicariate of Darien, Panama, in 1985. There, she is engaged with a team of Maryknoll Sisters who live and work with Indians, African Americans and mestizo settlers. The Sisters travel to 38 different communities instructing Delegates of the Word, catechists, teachers and young mothers. Their main objective is the formation of Ecclesial Basic Communities, small groups that pray and work for a more just and compassionate world. Melinda Roper on ethic of obedience vs. one of service. Melinda Roper on living a sacramental life. Melinda Ropeer on living a life of forgiveness.